Potting sheds are cool, since gardening became 61% of all Americans hobbies. People love to grow things, from fresh herbs, vegetables and plants. Get a early start to the growing season and check this affordable potting shed out. 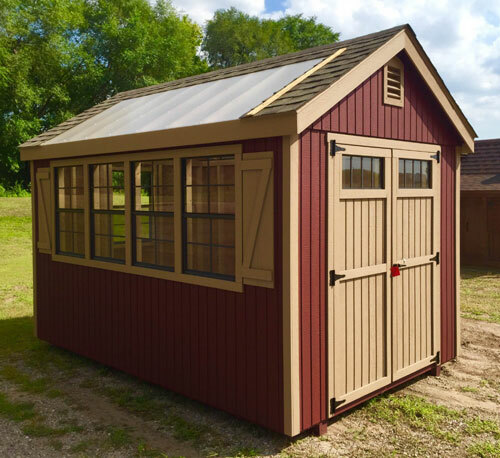 Standard features are poly carbon roof with architectural shingles, 5-24×36″ windows (depending on the size) painted, pressure treated floors, 16″OC construction, gable vents, 5′ double doors with transom windows and extra thick trim package. Thank you for reading this description and coming out to the store. Family owned and operated for 37 years.